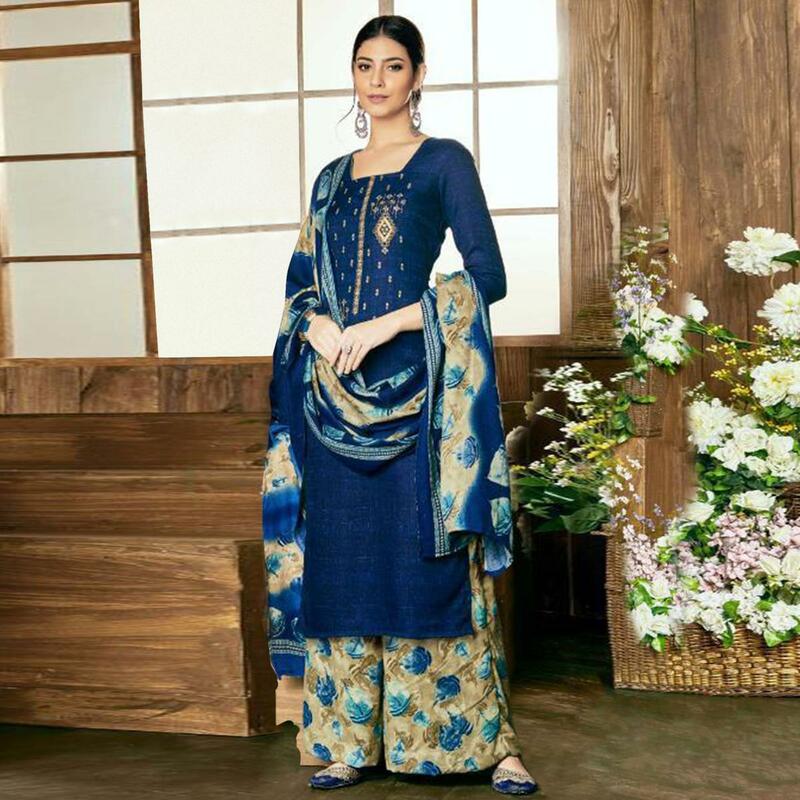 Be the sunshine of anyone’s eyes dressed with this pleasant blue colored palazzo suit which has been designed using pashmina fabric beautified with attractive embroidered and print work which makes this attire more demanding among people. 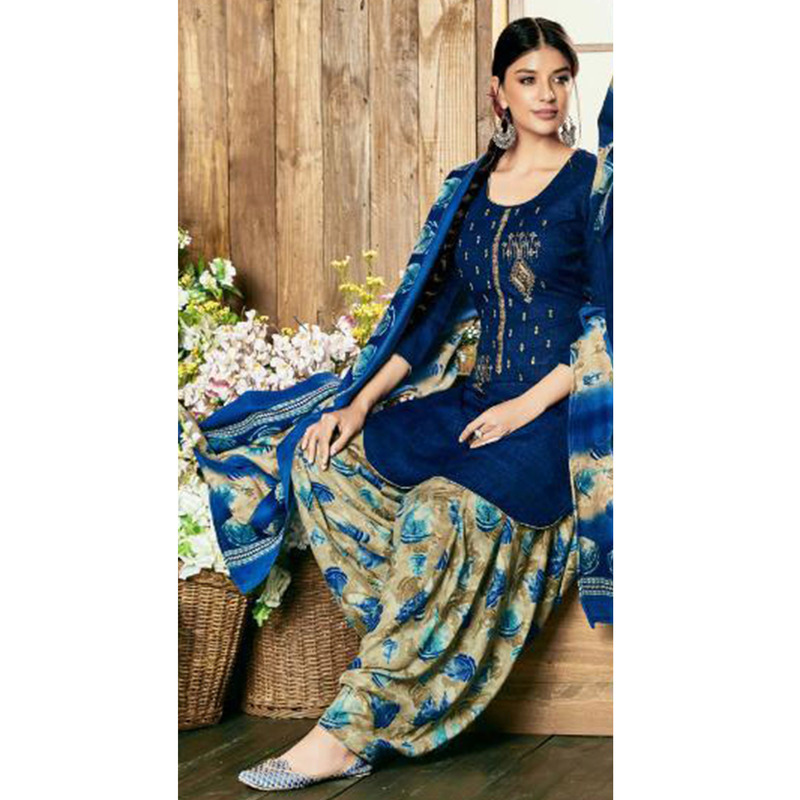 This unstitched suit look has been beautified with contrast colored printed pashmina bottom and pashmina dupatta. Women can buy this suit to wear for their upcoming homely functions, parties, kitties, weekend get together. Grab this palazzo suit now as it's easy to maintain and comfortable to wear all day long. Team it with stylish accessories to make your looks more beautiful. Note:- The actual product may differ slightly in color and design from the one illustrated in the images.